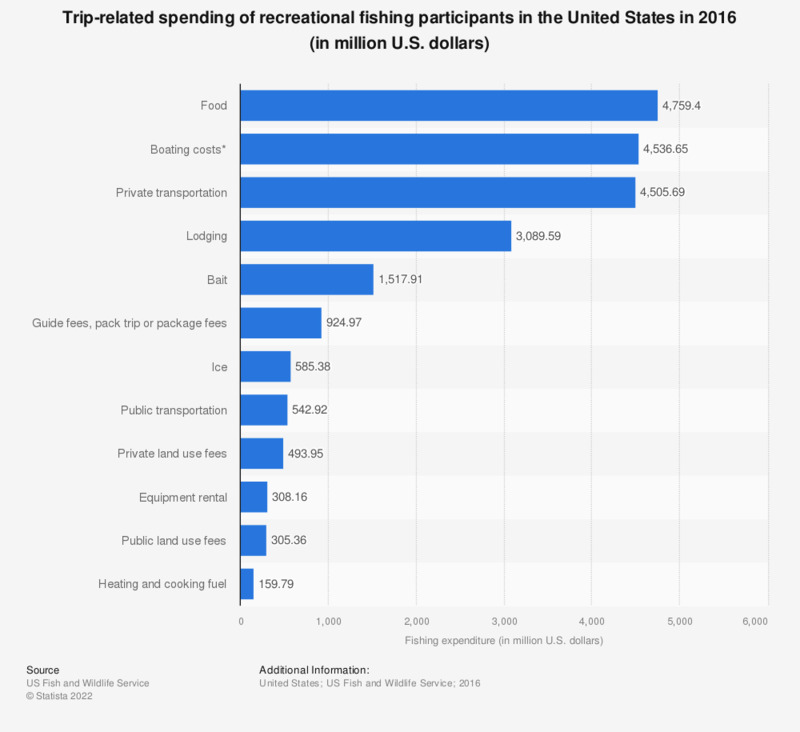 The graph depicts the expenditures related to recreational fishing trips in the United States in 2016, by expenditure category. In 2016, 308.16 million U.S. dollars was spent on equipment rental for recreational fishing trips in the United States. * Boating costs include launching, mooring, storage, maintenance, insurance, pumpout fees, and fuel.